Six examples of the Ar 95A-0 were built for the Legion Kondor in Marjorca with half of these airframes later being transferred to Nationalist Spain. 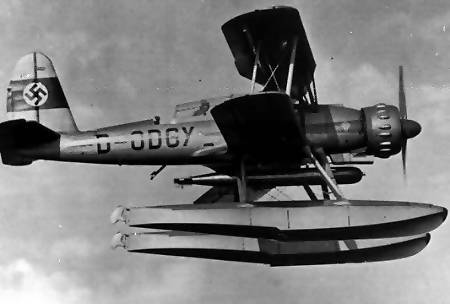 An additional six were built to fulfill an export order with Chile, half the airframes had floats while the remainder had fixed gear. The final production run comprissed roughly a dozen examples being built for the Luftwaffe and assigned to 3/SAGr 125 in the Baltic and south Finland after the invasion of Russia.